It was National Sweet Potato Day and Chili Day on February 22! Anyone else just love these food “holidays”? Gives you a reason to indulge a little (all those donut days! ), and can even help give you some meal ideas (pizza day!). I’ve had this recipe for sweet potato and black bean chili saved for forever! It was originally posted on Columbus Moms Blog; I actually started writing for the site back in October! Anyway, so it was finally time to try out this amazing, and simple recipe to celebrate these two foods! And it’s a crockpot meal, so “dump it and forget it!” Well forget it for 4-8 hours, depending on high or low temp, haha! You can easily make this on the stovetop as well. Just cook your sweet potato separately until it is a bit tender. Then you can combine everything into a pot until hot! I changed a few things from the original recipe. It was nothing major though and was only left out simply because I didn’t have it at home when I suddenly decided I wanted to make it right at that moment! I used red bell pepper instead of green. Didn’t have any cocoa powder. So, yeah, nothing major that would change the recipe completely. Truth be told, this group of co-workers has always given my cooking some rave reviews! Sometimes I doubt their validity because maybe they just want me to keep bringing food in! Hahaha, kidding! They are a trustworthy bunch. 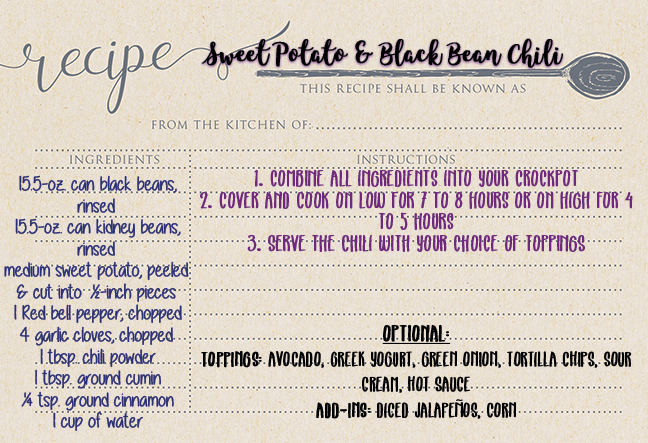 I was a bit nervous about this one because sweet potatoes + black beans + cinnamon = chili, seemed odd to me. But I wanted to be adventurous. I appreciate them always trying whatever it is that I bring in! 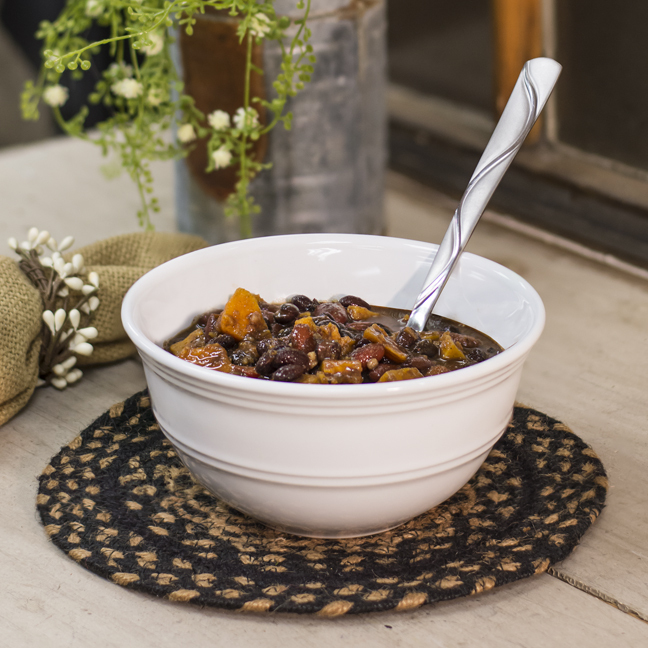 How does sweet potato and black bean chili sound to you?